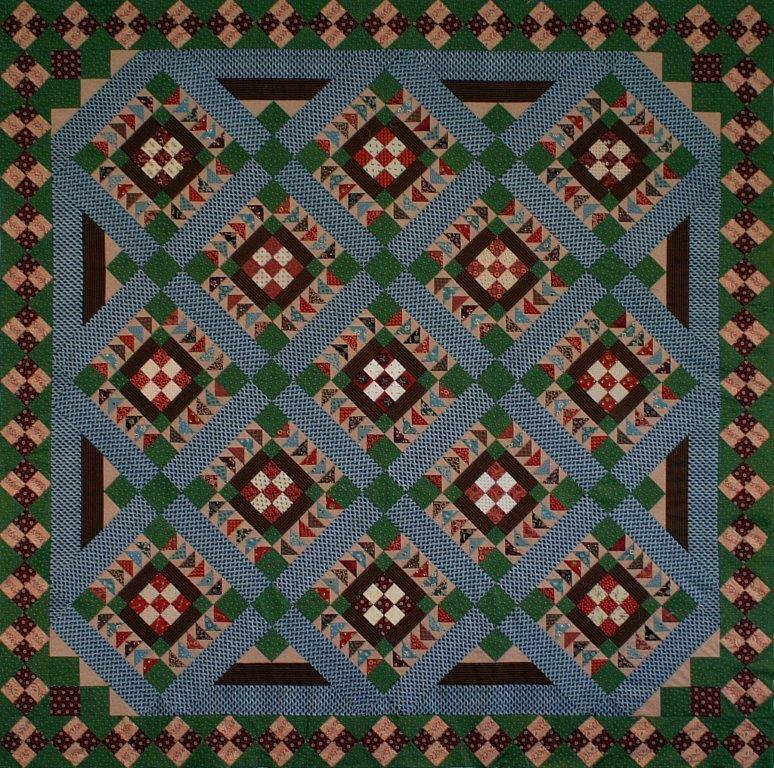 This quilt was inspired by an antique 1800s American quilt. It features bordered nine-patch blocks set on point within a Flying Geese frame.The Flying Geese strips are Foundation Pieced and the pattern includes all the Foundation papers for this project. This product was added to our catalog on Tuesday, 19. November 2013.